If you have a problem with the law in West Georgia the lawyer at Duke Law Firm, LLC will help you solve it. That lawyer is Desiree D. Duke -- raised in Carrollton and returned to Carrollton to practice in the areas of criminal defense, Social Security Disability, personal injury and family law. Some law offices are known for their elegant furnishings and expensive haircuts. The Duke Law Office is known for making people feel comfortable. Everyone has a problem with the law at some point. Hiring a lawyer should not be like applying for a job. At Duke Law Firm, LLC, the focus is always on solutions. If you or a loved one has been charged with DUI, has been injured in a car accident or is taking the first difficult steps toward divorce, Desiree D. Duke will treat you with empathy and respect. There is no reason a small town lawyer can't be a great lawyer. Prior to returning to Carrollton, Desiree worked for one of the largest and most prestigious firms in the world, in Atlanta, defending corporations and conducting complex litigation. These skills pay off for clients in Carrollton. We understand a case going into the courtroom better than the other side. And we have a positive record of success that backs this up. If you are facing a legal problem in Carroll County, hire experience and know-how. 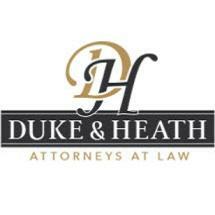 Let the Duke Law Firm, LLC , in Carrollton, Georgia make justice work for you.